I am thankful He doesn’t leave us alone. In the mire of past wounds, sins committed against us and sins we have committed, He covers us. 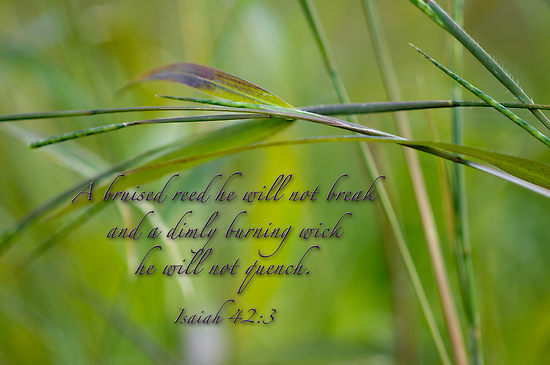 His gentle hands hold us as a broken reed, His strength and healing causes us to stand upright, He covers us with His grace, and presents us as His Beloved. There is no shame and no need to hide yourself any longer. He sees beyond it all, He sees YOU. He will restore you. You see, what you have done, what has been inflicted on you… that is not you. You were fearfully and wonderfully made with purpose. Beneath the blanket of injury is His little girl and just like He called to Lazarus, He says to you, “Come forth!” He is here, He is waiting for you. His arms are open and He will catch you. Fall into Him and He will lift you up. Entrust yourself to His care, He is our Salvation and Deliverer.